The Next generation network, Globacom has unveiled new data bundle plans for millions of its subscribers. Speaking on the new plans, Mr. Ashok Israni, Globacom’s Chief Regional Marketing Officer, said a N3,000 data plan would give subscribers 6GB data valid for one month; while a N4000 data plan would give 9GB data plan, also valid for a month. 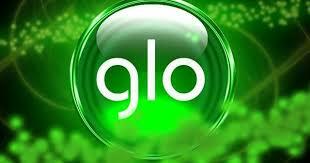 Globacom said that the N3, 000 subscriptions previously offered just 4.5GB data. While the N4, 000 data plan is a just being introduced. To connect to the new bumper offers, he explained, all the subscriber has to do, is to dial *777# and follow the interactive SMS prompt. Globacom said that the offer was being given at this time to encourage subscribers to keep browsing after the yuletide and festive seasons. According to Israni, the attraction in the new package is not just the huge extra 1.5GB data, but also the super fast Data capacity. Globacom had also recently launched the Twin Bash offer which gives subscribers bonus voice airtime for every data subscription. be done by dialling *223*pin#. The Twin Bash offer is also available on the N500, N1000 and N2000 data recharge plans. According to Israni, the new bumper offers are the icing on the cake.